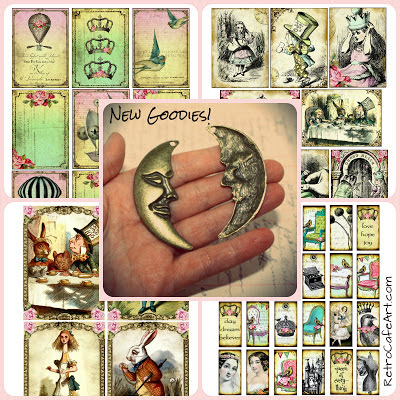 New Goodies and a Storewide SALE! 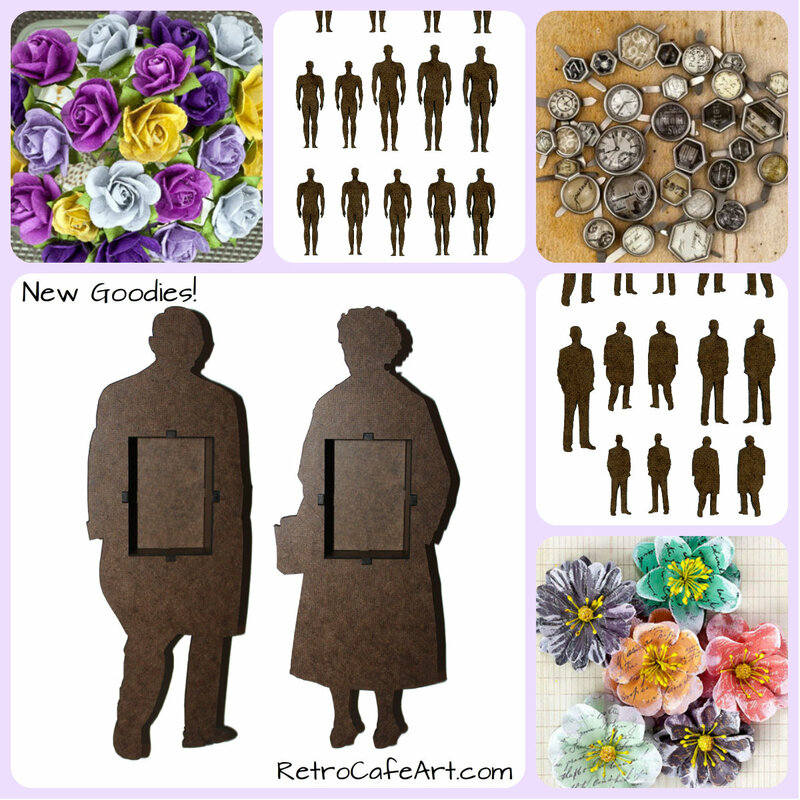 Come on over and see what's NEW in the shop. 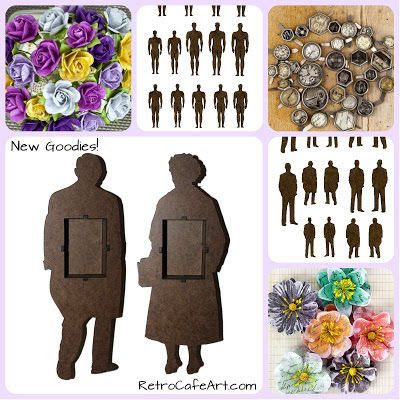 Lots of Prima, Cut-Outs, and two fabulous new Shrine Kits! 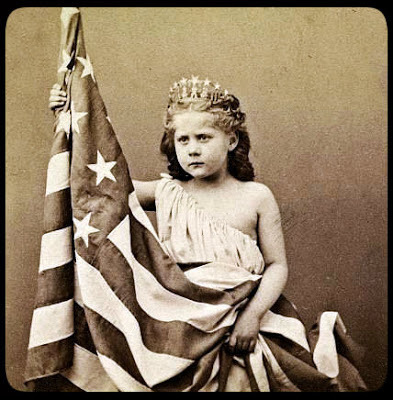 You can check it all out HERE. I hope you are all having a fantastic weekend! I'm super excited about all the wonderful BRAND NEW goodies in the shop! Lovely Mini People, German Dresden, Doll Head Paper Cuts, Stand Ups, a Keepsake Curio Shrine Kit, and so much more! You can see it all HERE! 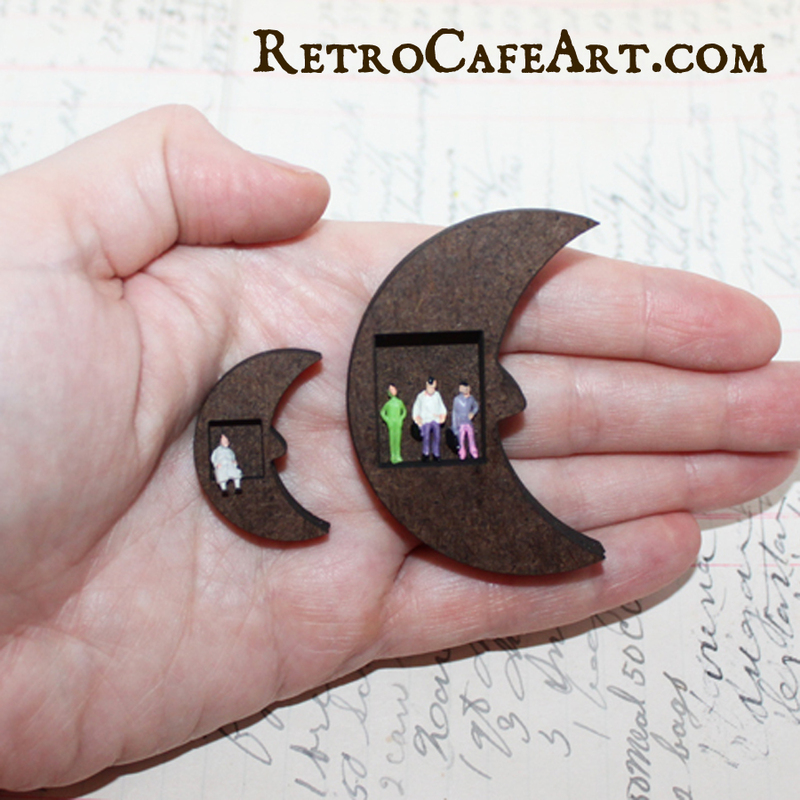 The Mini People are ADORABLE and so perfect for several of our Shrine Kits! There are Mini Trees too! 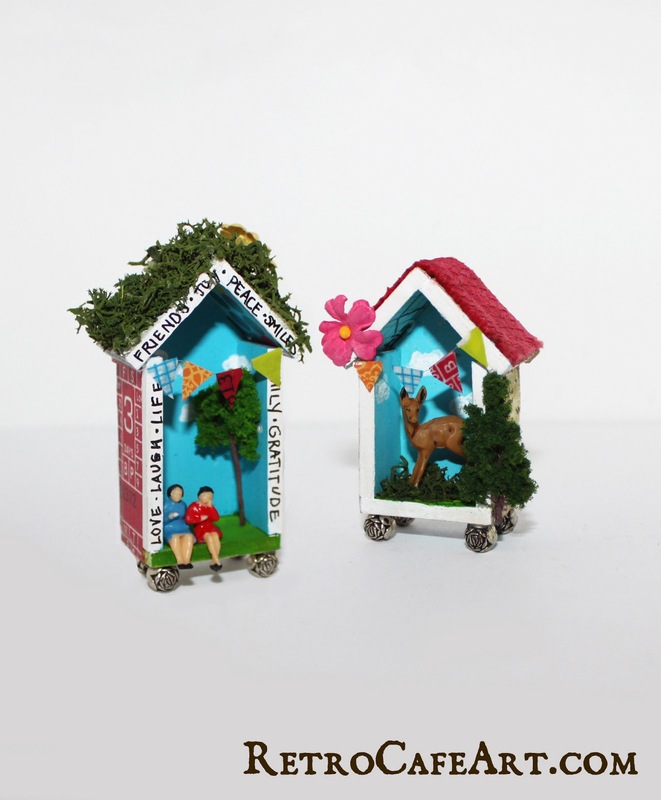 The talented Shaun Sheehan created these sweet Mini House Shrines and made great use of the new Mini People and Mini trees. Aren't they just DARLING? And you've got to love the miniature bunting she created from Washi Tape. Wondeful Shaun! And oh, the new Keepsake Curio Shrine Kit is perfect for holding your treasures! 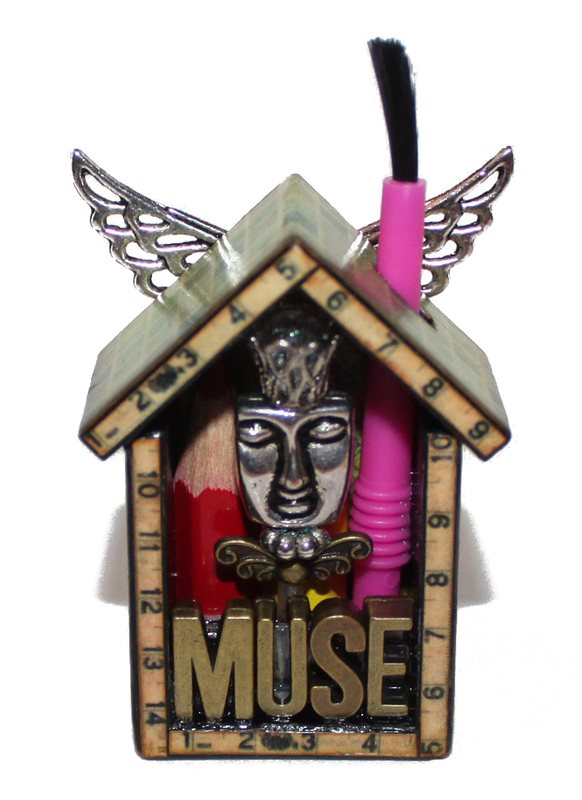 Maybe even use it to display your Mini House Shrines! Speaking of treasures, Design Team Member Linda Cain created this GORGEOUS Blue Moon Shrine. You can find more photos and a complete Tutorial on Linda's Blog HERE! I want to thank everyone who took part in the Mini House Shrine Swap! All of the houses have been swapped and they are all on the way to new homes. Some of you have already received them! Here is a photo of ALL of the houses. They totally rocked my world and I was BLOWN AWAY by all the talent. Each and every one was wonderful! AMAZING job everyone!!! Thank YOU!!! Happy Friday friends! Lately, with all the fantastic Mini House Shrines coming through the door I've been in Mini Heaven! 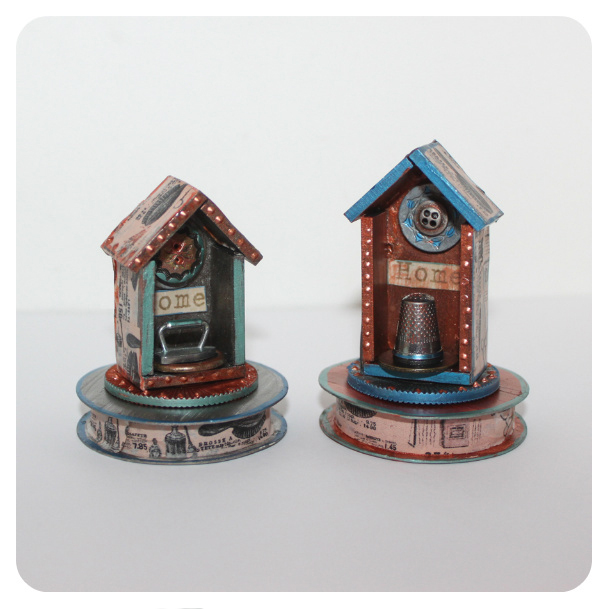 And of course one can never have too many Minis, so several new little wonders have been added to the shop! 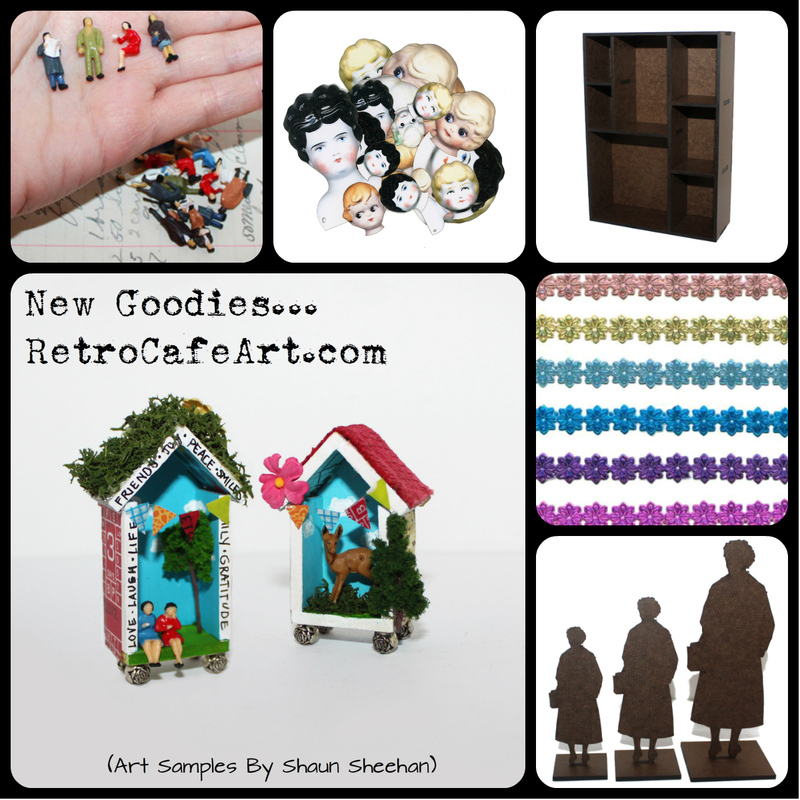 You can check out all the NEW goodies HERE. And be sure to stop by the Mini Section as well! 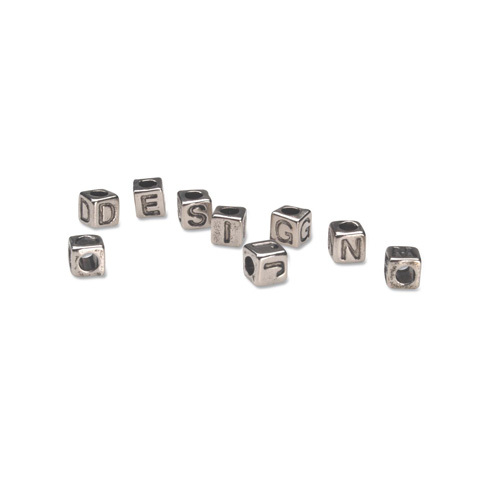 One of my favorite new goodies are these cube Alpha Beads. 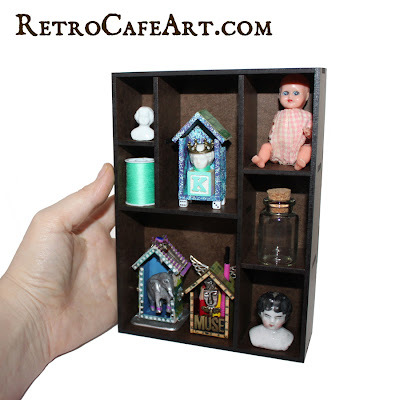 They make the perfect little feet or embellishments for our Mini House Shrine Kits and several of our other smaller Shrine Kits as well! In addition to the 6mm silver, we have several other colors available and even some numbers! 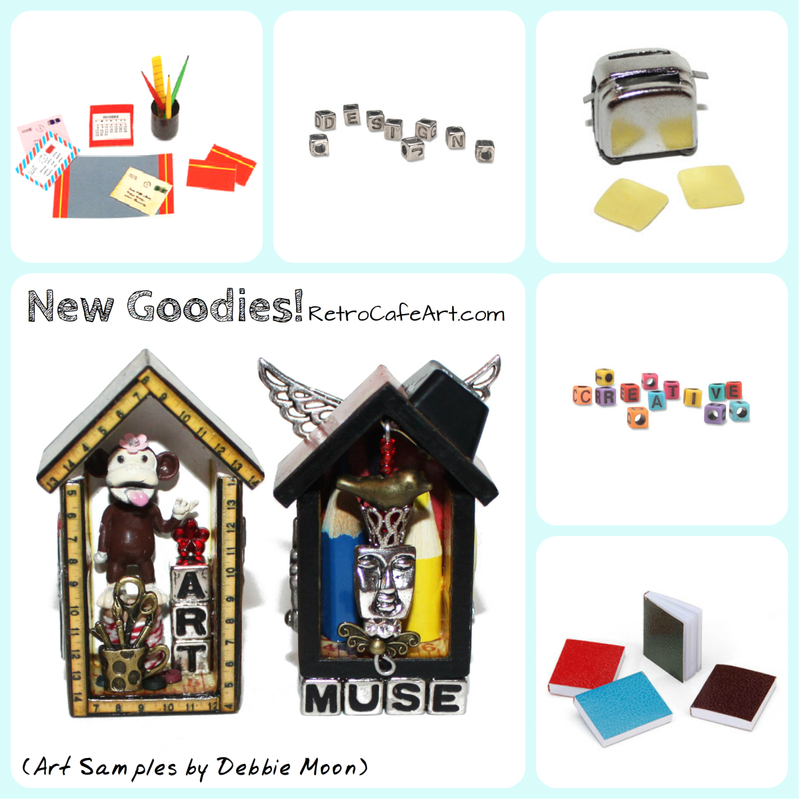 These fantastic Art Samples were created by the amazingly talented Debbie Moon! As you can see, Debbie did a great job utilizing the Alpha Beads in two different ways. Her houses are even more amazing in person! Here is another awesome house by Debbie Moon. Isn't the paint brush "chimney" brilliant? 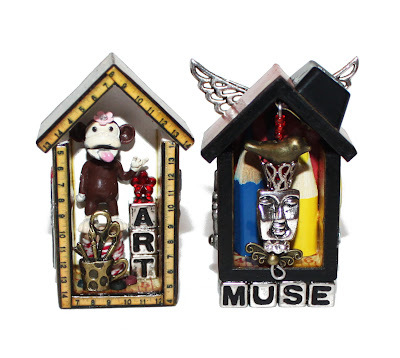 Our Mini House Shrine Swap is coming to a close and all houses are due on Monday May 13th. Don't forget to stop by our Facebook Page to see all of the samples, and why not try your hand at some of your own? We have plenty of Minis, Charms, and Beads for you to fill them with! Hey everyone! 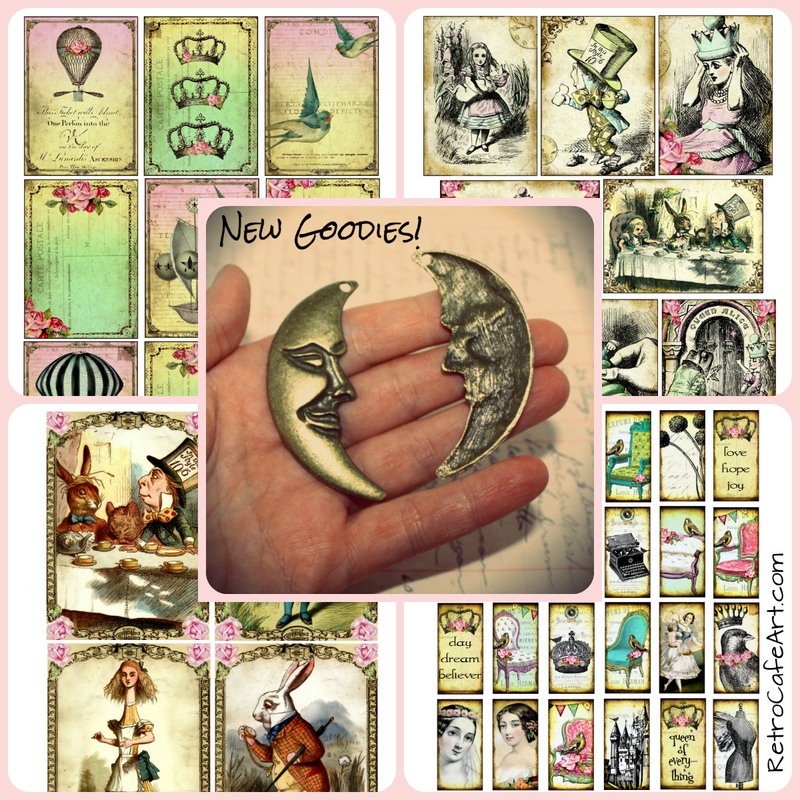 We have some fabulous new goodies in the shop including 9 new Land of Enchantment Collage Sheets, Magical Moon Charms, and more! You can check it all out HERE! 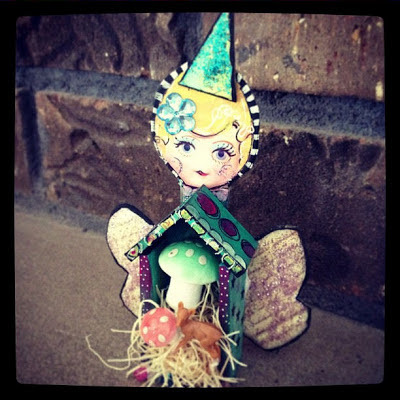 Our Mini House Shrine Swap is well under way and I'm in love will all of the samples. 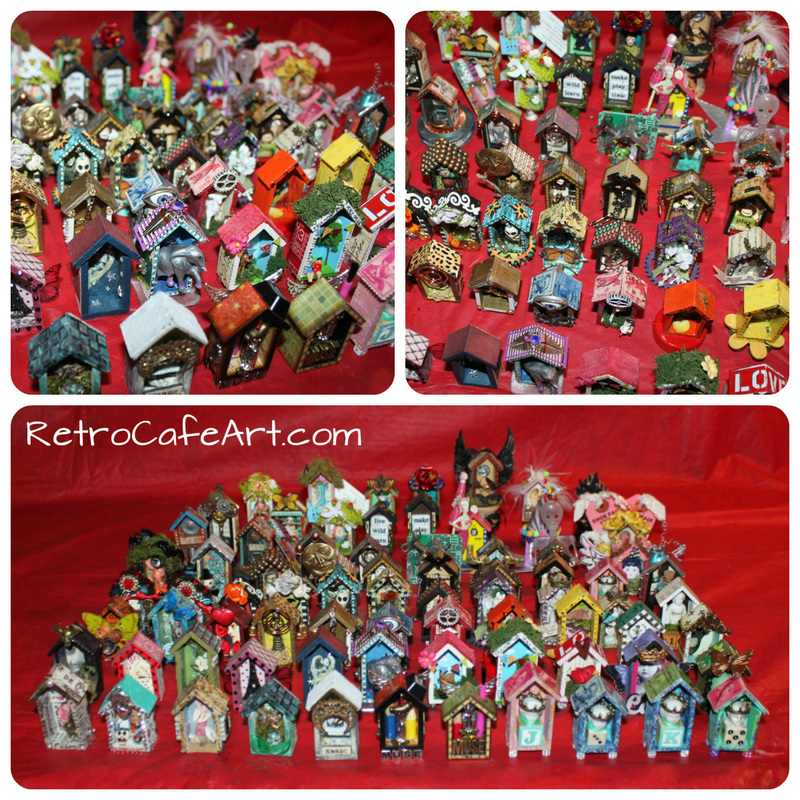 If you don't already have your houses, it might be a bit late to join in the swap (swaps are due Monday May 13th), however you can still grab some just to make for fun. And they are FUN. 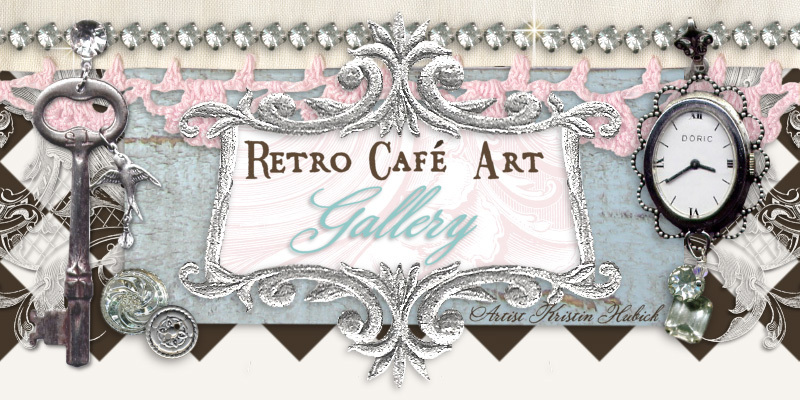 Here are some lovely houses from the Retro Cafe Art Gallery Design Team! 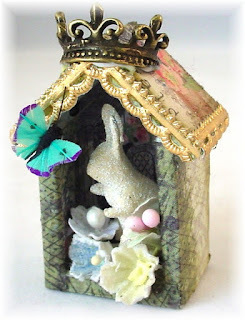 Linda has a fabulous Mini House Shrine Kit tutorial that you can check out HERE.